The cloud and mobile are changing the IT landscape. Today’s IT environments are vastly different from the ones ten to twenty years ago. In fact, how businesses function is quite different as well. One central office with workers using only the tools that they are instructed to use is largely a thing of the past. Employees, departments, and business units are all making their own choices when it comes to tools and technology. The legacy tool that had connected these systems and applications together was Microsoft’s Active Directory. As IT organizations move to the next generation of technology, they are looking for an Active Directory migration tool. Before we discuss why organizations need to replace Active Directory, let’s talk about the environment of the past and the environment today. Twenty years ago, Microsoft Windows was the dominant platform both for end users and for servers. Everything was hosted on-premises at that time because the concept of the cloud did not yet exist. Organizations were trying to figure out how they could leverage the newly emerging web. While the Internet was largely used for outbound communication, an organization’s IT infrastructure was closely held. IT wasn’t open to the risk that the public Internet presented. That environment has dramatically shifted over the past few years. The once-dominant Windows platform currently represents only one in five devices when you include mobile devices. Applications are now delivered from the web more often than they are hosted on-premises. 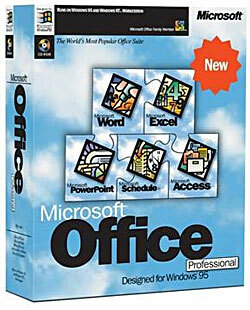 In fact, Microsoft’s own Office 365 solution is a testament to the move to the cloud. Server infrastructure is hosted at AWS, Azure, or Google Compute Engine among hundreds of other providers. Organizations rarely build their own data centers any longer. We are living in a cloud-forward IT environment known for its rapid innovation. The legacy environment was perfect for Microsoft Active Directory. AD was the companion product to Microsoft’s email server, Exchange. Since everything was Windows and on-prem, AD and the domain controller were able to provide a single sign-on experience to users. They would simply log into their device and have access to their email, the file server, and other applications and systems. The AD platform became Microsoft’s largest market share solution with most organizations standardizing on it. As the IT landscape started to shift, the value of AD did as well. With Macs and Linux devices largely making up small to medium-size organizations’ laptops, desktops, and servers, IT was presented with a significant problem: how do we manage these devices and the users on them? Servers were outsourced to Infrastructure-as-a-Service providers causing more pain with networking and security. SaaS applications needed to be managed; AD wasn’t the solution. A new category of single sign-on solutions was needed. In short, organizations started thinking about migrating away from Active Directory. Organizations needed an independent cloud-based directory service. It had to be one unified solution that treated Windows, Mac, and Linux as first-class citizens. The transition is more simple than you might think. Managing cloud server users at AWS was the same as managing servers on-prem. A SaaS application looked a lot like a legacy LDAP application. Neither the protocol nor the location mattered because they all could be centrally controlled and managed. This solution is called Directory-as-a-Service®. One of its best features is that it can serve as your Active Directory migration tool. A small agent is placed on your AD server which starts to replicate all of your user data to the cloud-hosted directory service. 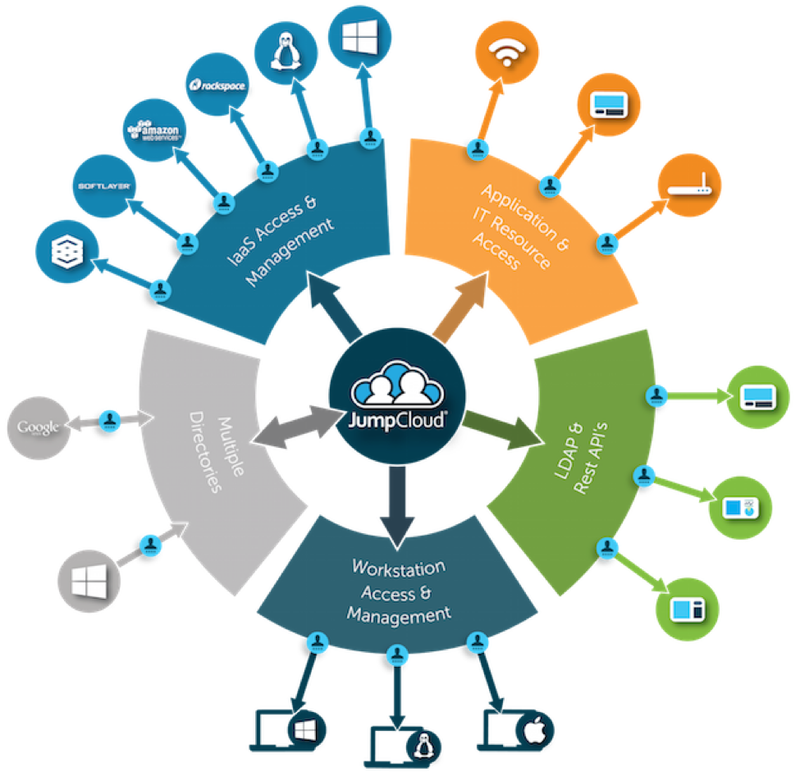 AD can continue to run as the authoritative directory and sync to the cloud directory. You can head over to the Directory-as-a-Service platform and decommission AD when you are ready. 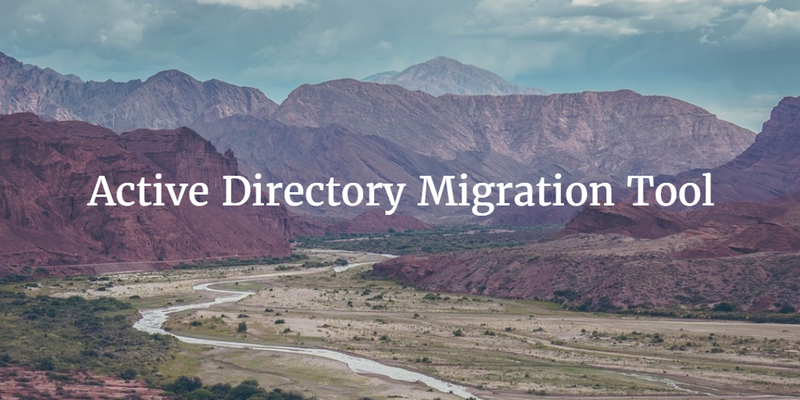 If you would like to learn more about how Directory-as-a-Service can be your Active Directory migration tool, drop us a note. We’d be happy to illustrate how you can move on from AD and start to leverage the independent nature of a cloud-hosted directory service.